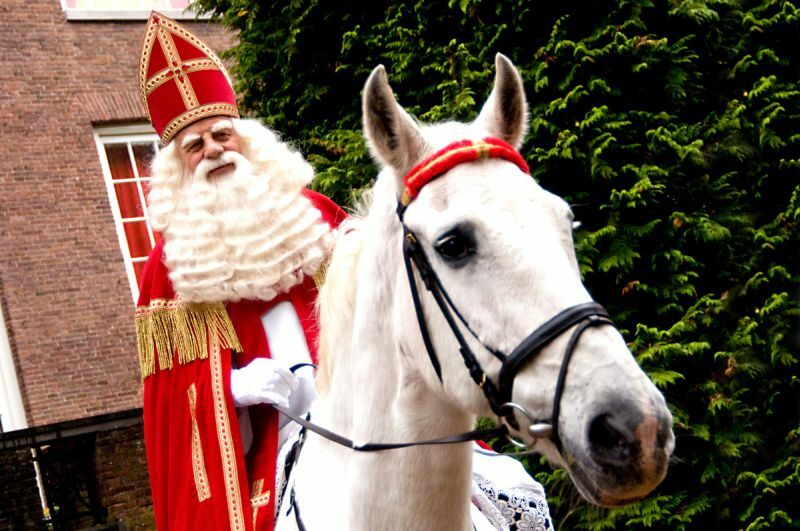 Sinterklaas or Sinter Niklaas is a traditional Dutch figure based on Saint Nicholas, and as such his day coincides with St. Nicholas’ Day on 6th December. As a matter of fact, the celebration of giving gifts starts from 5th December in countries like Netherlands and Belgium. 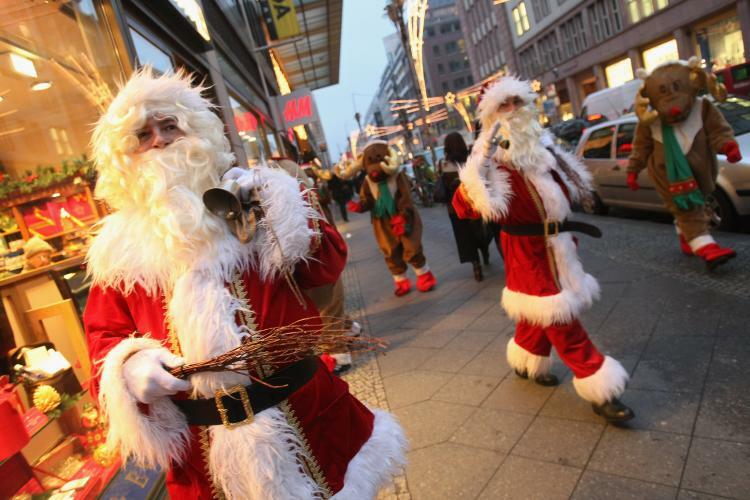 As for the term ‘Santa Klaus’, it is believed to have made its debut in American English in 1773, and it is derived from dialectal Dutch Sante Klaas. Quite oddly enough, modern pop-cultural prevalence of Santa Claus also led to the addition of the ‘Americanized’ jolly old man in the December celebration roster for a few such European countries. But given the similarity of his name to Sinterklaas, this figure is known as de Kerstman in Dutch (which translates to “the Christmas man”), and he provides gifts on Christmas eve. In other words, the Dutch children can receive gifts twice in December! While Santa is mostly based on the historical character of St. Nicholas, some of his supernatural attributes have clear mythological influences. To that end, various Christmas traditions are actually derived from pagan Germanic Yuletide celebrations, which pertained to the observance of Yule – a special midwinter event. During this time, people were said to encounter various ghostly phantasms, with the major one comprising of the Wild Hunt, a spectral procession passing through the sky. 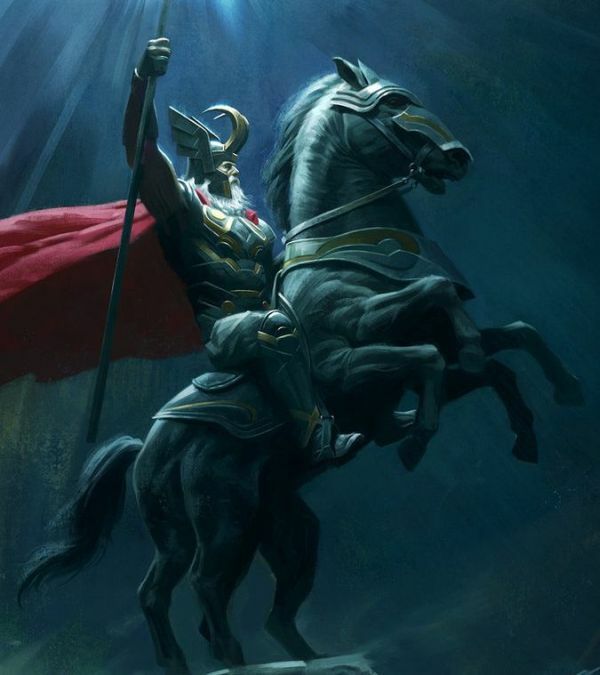 The appearance of Santa Claus or Father Christmas, whose day is 25th of December, owes much to Odin, the old blue-hooded, cloaked, white-bearded Giftbringer of the north, who rode the midwinter sky on his eight-footed steed Sleipnir, visiting his people with gifts. Odin, transformed into Father Christmas, then Santa Claus, prospered with St Nicholas and the Christchild became a leading player on the Christmas stage. As we can comprehend from the various influences, Santa Claus epitomizes a hybrid characterization at best – borrowed from numerous historical sources. In this regard, there was no uniform portrayal of Santa even up till the first three decades of the 20th century. And, one company took advantage of this disarrayed scope of symbolism, by making the Santa in his flowing beard and red apparel much popular than it was ever before. The company’s name is Coca Cola, and they ‘universalized’ the red-and-white garbed father figure in a series of painted advertisements illustrated by Haddon Sundblom, starting from the year 1931. But this doesn’t necessarily mean that Santa was never portrayed in his famous red-and-white cloths before 1931. As a matter of fact, another beverage company White Rock Beverages used this familiar image for their drawn advertisements since 1915. 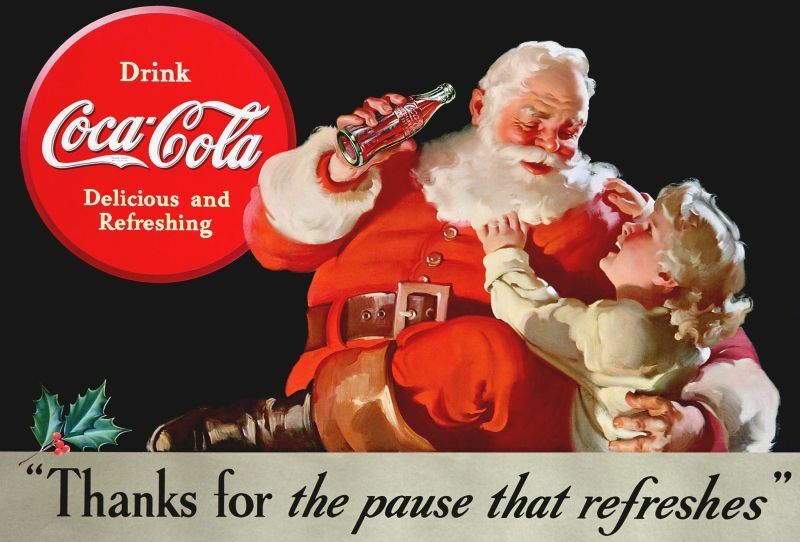 However, Coca Cola’s promotional caliber was far more predominant (and thus culturally accepted) – since before the 30’s, Santa could also appear in variety of other ensembles with hues ranging from blue, green to brown and mauve. Since we are taking about the commercialized side of the Santa phenomenon, the popular trope of a department store Santa is far older than one would be inclined to think. The ‘tradition’ was started way back in 1890, when businessman James Edgar himself dressed up as Santa to promote a department store in Massachusetts. The marketing ploy seemed to have worked, with the practice still being ceremoniously maintained after 124 years of its origin. The remains of St. Nicholas, including his skull and bones, were studied extensively and x-ray photographed in 1950, with detailed measuring of the organic components. 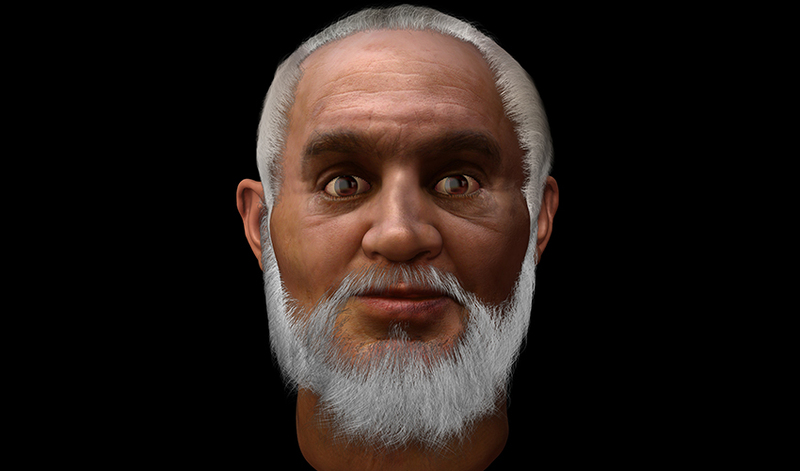 Caroline Wilkinson, a facial anthropologist at the University of Manchester, has utilized this documentation to forensically reconstruct the facial attributes of the original Santa. She was obviously aided by the modern technological applications and various software simulations. But the end result (as shown in the above image) is still open to interpretation, since most of the process was depended on the photos of the remains, as opposed to the actual examination of the facial bones. In any case, the modern reconstruction shows a olive-toned, 60-year-old man with a broken nose and gray beard.